This is the third, and final, in a series of blog posts addressing various aspects of creating a blended learning environment. In the second post (Designing for Blended Learning (Is it Right for You? )), we discussed what factors to consider when you're thinking about redesigning a course for blended delivery. In this post, we discuss the implementing of a blended course and the upfront planning involved. Setting up a course to be offered in a blended learning format takes considerable upfront planning. The course syllabus needs to spell out clearly and in detail the course organization, the nature and number of assignments, and the assessment procedures. Technical requirements should also be clearly set out. Students drop out or turn off from online or hybrid courses if they don’t have a good sense of where the course is going and how the instructor will help them get there. Student notification system. Today, there are a variety of ways to alert students to class activities, deadlines, extracurricular opportunities, and other course-related events. Popular options are email, texting, and Twitter. If one is using an LMS, there may be automatic alerts that can be sent out, for example, when an assignment is overdue. Clear support network. It’s helpful to students to let them know how you will respond to questions and problems (both content-related and technical), including the normal turnaround time. Even though information might be contained in the syllabus, it’s helpful to also have an FAQ which highlights practical information about the course. It’s important to provide there information about campus and online resources such as tech support, writing centers, or counseling services. Online office hours. It’s good practice for blended learning courses to have both in-person office hours and a virtual online presence, scheduled at a regular time each week. I have found evenings work best for most students. That can be set up easily through Skype, Google Hangouts, Zoom, or other free videoconferencing systems. Regular feedback. It’s important to build in a system for providing individual student feedback on a regular basis. That generally it is done in written form, however today there are other options such as recorded audio messages (as through Evernote) or even short video clips (as through Google Docs). Hearing the instructor's voice humanizes and personalizes the message considerably. Student writing. Blogs (in WordPress, for example) or discussion boards (such as Chalkup) offer popular means for the exchange of ideas, while student journals (such as Penzu) give students a space to reflect on and integrate learning content. Wikis (such as PBWorks) offer a good vehicle for collaborative work and content sharing. Online videos. Online videos have become ubiquitous in education, as they have in personal lives. Lectures can be put online as narrated slideshows or posted on a service such as YouTube. These options are available as well for student assignments such as course projects. Basic videos can easily be created on a smartphone or using a screen capture service such as screencast-o-matic. Linked materials. It’s likely that you will make available for students many online resources—for content presentation, case studies, or more in-depth study. These can be linked into the LMS site, saved on a social bookmarking system such as Digg or a service such as Pinterest. Once you’ve begun teaching your blended course, it's important to monitor student progress, especially in the first few weeks of class. Don’t forget to provide a lot of feedback early on, so students can see in practice how they are measuring up to expectations. It’s helpful to provide an early student satisfaction survey, certainly before the formal student evaluation at the end of semester. Google Forms provides a useful platform for doing that. Designing for Blended Learning (is it Right for You? ): we discuss what factors to consider when you're thinking about redesigning a course for blended delivery. What Is Blended Learning & Why It Matters: we discuss what blended learning is and how to structure your course to make it successful for both educators and students. 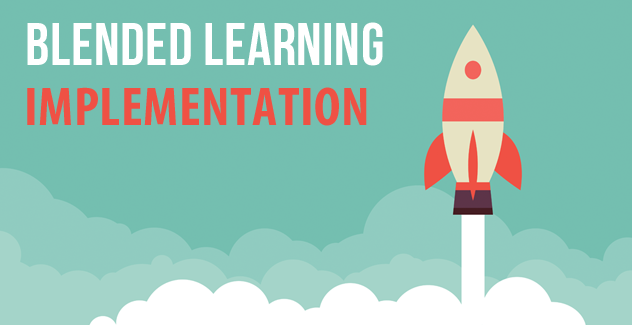 Blended Learning Models for Higher-Ed and K-12: we discuss the different available models of blended learning for both higher-ed and K-12 schools. SoftChalk Cloud is a blended learning software that makes it easy to create online tutorials like the example referenced above. Visit the SoftChalk Cloud Overview page to learn more about creating interactive online lessons like Dr. GJ's, and then try it yourself with a free trial of SoftChalk Cloud.